When did the modern tarot renaissance actually begin? It’s always hard to pinpoint the beginning of a movement but here are some events worth noting that lead up to the breaking of the dam in 1969. I’m looking for corrections and additions to the information below, plus tarot stories from the 60s and early 70s. Please share them in the comments. The 1940s saw some interesting tarot activities that set the stage for the later renaissance. The Crowley-Harris Thoth deck was completed and published in a limited edition of 200 in monochrome brown by Chiswick Press, but these were not available to the general public. In 1947 Paul Foster Case published his masterful work The Tarot: A Key to the Wisdom of the Ages, based on his tarot correspondence course. In France, Paul Marteau came out with his hugely influential book Le Tarot de Marseille that noted the symbolic significance of the smallest details in the deck. In Brazil, J. Iglesias Janeiro, published his book La Cabala de Prediccion, which popularized the turn-of-the-century Egyptianized Falconnier/Wegener cards. It became a center-piece of his important occult school, known mostly in Latin America. Meanwhile, in the U.S.A., Dr. John Dequer published The Major Arcana of the Sacred Egyptian Tarot, which was his revised version of those same Egyptianized cards, similar to what was already being used by C.C. Zain’s Brotherhood of Light correspondence school. The Insight Institute in Surrey England started up their tarot correspondence course (later published in a book by Frank Lind) and produced their occultized version of the Marseilles deck (eventually published as the R.G. Tarot). Also appearing was an unusual book, solely on the psychological dimension of the Minor Arcana cards numbered 2-10 as they are associated with one’s birthday. It was Pursuit of Destiny by Muriel Bruce Hasbrouck, who had studied with Aleister Crowley when he was in the United States. Tudor Publishing’s The Complete Book of the Occult and Fortune Telling became the sole source in English of the unique Tarot card interpretations from Eudes Picard’s 1909 French work, Tarot. The 1940s also saw the incorporation of Tarot imagery in surrealist artworks such as Victor Brauner’s “The Surrealist,” and in Jackson Pollack’s “Moon Woman” (both of which I happened upon when I visited the Peggy Guggenheim Collection in Venice following the 2000 Tarot Tour with Brian Williams). William Gresham’s novel, Nightmare Alley, featured a carny mentalist who reads tarot and the book is presented as a twenty-two card reading. A year later Tyrone Power played the lead in the movie version featuring two tarot readings by Joan Blondell. 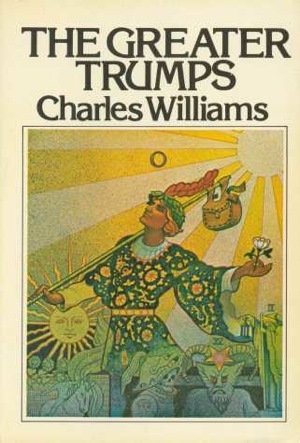 Charles Williams’ landmark tarot novel, The Greater Trumps came out just as this decade ended and the next one began. 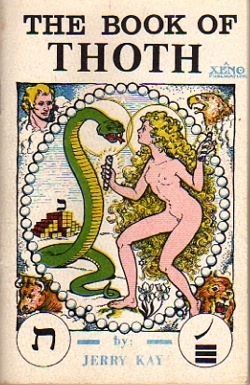 The 1950s produced even fewer tarot works. George Fathman published The Royal Road: A Study in the Egyptian Tarot, which used Dequer’s version of the Falconnier/Wegener cards. Paul Christian’s seminal work The History and Practice of Magic was translated from French to English, providing the original source material on which all those Egyptian-style decks were based. Arcanum Books reissued Papus’ The Tarot of the Bohemians with an introduction by librarian Gertrude Moakley, who noted the influence of tarot on creative writers and in psychology. Off in the Netherlands, Basil Rakoczi published the English language letterpress art book: The Painted Caravan: A Penetration into the Secrets of the Tarot Cards. Yet, the tarot seemed likely to fade away from popular view. 1960 started out the decade with a bang. 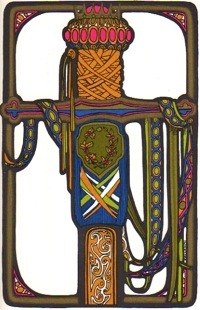 University Books published Waite’s A Pictorial Key to the Tarot for an American readership, as well as a deck: Tarot Cards Designed by Pamela Colman Smith and Arthur Edward Waite. 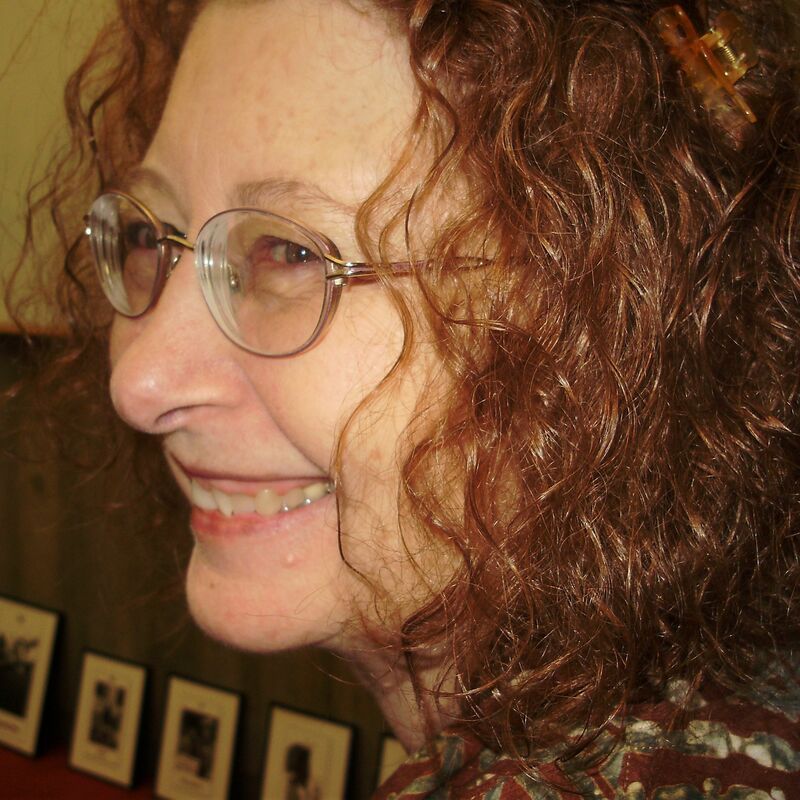 Eden Gray self-published her Tarot Revealed that still sells well to this day. In England Rolla Nordic came out with The Tarot Shows the Path: Divination through the Tarot. These last two books showed a clear shift in interest to practical tarot readings for the masses. Muriel Hasbrouck’s greatly overlooked 1940s work was re-published. As the 60s progressed we got two heavy metaphysical works: Mouni Sadhu’s Tarot: A Contemporary Course of the Quintessence of Hermetic Occultism, and Mayananda’s The Tarot for Today, a study of Crowley’s material in the Book of Thoth (despite the latter’s being unavailable). The Brotherhood of Light came out with a new, revised edition of their 1930s Tarot deck. Idries Shah claimed, in The Sufis, that the Tarot was a Sufi creation. Influenced by T.S. Eliot’s “The Wasteland” and Yeats’ involvement in the Golden Dawn, poets like Robert Creeley, John Weiners, Diane Wakowski, Sylvia Plath, Philip Lamantia and Diane di Prima began using tarot imagery in their poems. While not published until 1974, Jack Hurley and John Horler worked on “The New Tarot,” a Jung-based deck, at the Esalen Institute throughout the 60s, influencing many who passed through there. In 1966 Gertrude Moakley set tarot history on it’s ear with her groundbreaking research in The Tarot Cards Painted by Bembo. The Grand Tarot Belline deck was published in Paris, as was a new edition of Oswald Wirth’s 1927 book, Le Tarot des imagiers du moyen age, that included his 22 card deck. Beginning in 1966 and running through 1971 the day-time TV soap opera Dark Shadows gave many people their first glimpse of a tarot deck as various episodes featured readings with the Marseille deck. By 1967, even a paper company jumped on the bandwagon with its advertising Linweave Tarot Pack that gave David Palladini his introduction to tarot design (see card on right). Helios Books in England published a small edition of the Golden Dawn’s Inner Order tarot teachings, Book T. Doris Chase Doane came out with two books that helped popularize the Brotherhood of Light Egyptian tarot deck in America. Sidney Bennett wrote Tarot for the Millions. In 1968, the House of Camoin reproduced the classic 1760 Tarot de Marseille based on original pearwood woodcuts. The mysterious Frankie Albano redid Waite and Smith’s deck in brighter colors, giving those in the U.S.A. an alternative to the University Press version. Hades, in Paris, published Manuel complet d’interpretation du tarot, claiming it was based on a pre-de Gébelin 1761 original. Jerry Kay came up with his own version of Crowley’s deck that he called The Book of Thoth: The Ultimate Tarot. And, Stuart Kaplan brought back the Swiss 1JJ deck from the Nuremberg Toy Fair, selling 200,000 copies in the first year and making tarot available in department stores across the U.S. The stage was now set for the 1969 deluge: at least five decks and twelve separate books where published! I won’t mention them all but they included Crowley’s Thoth book and deck (though not readily available for another two years), Cooke & Sharpe’s New Tarot for the Aquarian Age, an English-language edition of Grimaud’s Marseilles deck. Also books by Arland Ussher, Brad Steiger, Corinne Heline, Gareth Knight, C.C. Zain, Hilton Hotema, Frater Achad, Rodolfo Benavides, Elisabeth Haich, Sybil Leek, and Italo Calvino’s Italian short stories, ‘Il castello dei destini incrociati (“Castle of Crossed Destinies”). Every hippie pad had its requisite tarot reader. 1970 featured fewer books but even more decks, including the Rider-Waite and Palladini’s Aquarian. Stuart Kaplan at U.S. Games, Inc. started publishing his own decks. The Tarot Renaissance was now fully underway. For an even more extensive look at Tarot in America from 1910 to 1960 please see this Tarot Heritage page. Mary, thanks again! Do you know anyone who would’ve seen that first edition of Crowley-Harris deck..? Wonder what their (A.C. & F.H) thoughts were on hearing news about “brown Thoth” being printed..
Tero – I’ve never seen a brown Thoth but, when I lived in London, met people who had either seen or owned one. I’m sure Frieda Harris was very disappointed in the result. I had the book for a couple of years before I managed to find a deck for sale. Boy, was that frustrating! A fantastic read! I’d love to know how you define/distinguish “modern” Tarot from it’s ancestry. In my humble opinion I would have put “modern tarot ” renaissance as a part of the age of enlightenment… say late 1700’s onward to the 1920’s..(Etteilla, Gebelin,Levi,Crowly and Case) and building up to A E Waite’s pivotal anglo-american deck. The rediscovery in the very late 60’s or very early 70’s and “new age movement” does count as a renaissance too but it was the second flowering of the earlier true renaissance of tarot. Then we have the Third commercial driven renaissance of the 80’s ands the tarot deck explosion. Still certainly you nailed the 20th century tarots true and best renaissance of that period. How did you decide on the 20th century as “modern”? Shawn & Stephen – see my blog entry where I addressed your excellent points. A further note on “modern.” Historians label the “modern” period as beginning with the Italian Renaissance and printing (the mid-15th century) or the Enlightenment & Revolutionary periods (centering around the 1780s) which puts the original decks right in the middle of these transitions into the modern world. I come from a background in English literature, rather than history background where the modern period begins as far back as William Blake (late 18th century) or as far forwards as W. B. Yeats (late 19th & early 20th centuries). It’s interesting that all of these period markers exquisitely frame each stage of the major developments of the tarot. By “modern” I intended to speak of the most recent surge of tarot activity within the memories and experience of a large number of people yet alive. Also, although “renaissance” can mean any kind of renewed interest, it also suggests a period during which the renewal spreads throughout the broader culture, effecting the entire art and ideas of the time. Tarot could certainly be said to do this from the late 1960s onward, whereas interest in the 1850s and fin de siecle was more limited in scope. You failed to mention your incredible Counterculture Tarot, so I’ll do it for you. I really like your comments about the intersection of the personal and what I’ll call cosmological—a Renaissance term (you said transpersonal). Campbell and Jung were the major impetus to my interest in tarot in 1967 and I hung a huge poster of the Fool card in my office in 1973. I find that tarot appears somewhere in most commentaries on the period. It represents a desire eschew “normal” channels to tap into both a random and divine (which are not necessarily different) cosmos for inspiration and life direction. What do you think the blips mean?